Spotify and Hulu has teamed up to bring students affordable entertainment. Their new student bundle nets students both Hulu and Netflix in a single $5 package. The package includes Spotify Premium and Hulu’s Limited Commercials plan. If you’re subscribed to Spotify Premium Student already, you can tack on the Hulu for free. The vice versa is true if you have an active Hulu Limited Commercials plan subscription. 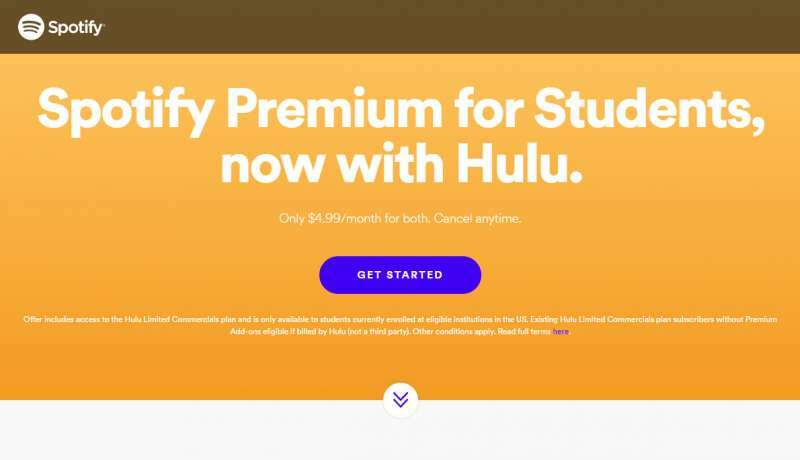 While the current deal is only available to students, Spotify and Hulu are looking into some sort of plan for all users as well. Spotify’s own ventures in a video platform hasn’t done well, so a tight partnership with one of the biggest streaming services in the industry is an appropriate move. Current students interested in the bundle can sign up here.